These processes can operate effectively, thanks to the cars equipped with telematics technology — which is becoming increasingly widespread all over the world — enabling the acquisition and transfer of the live vehicle data to the services. 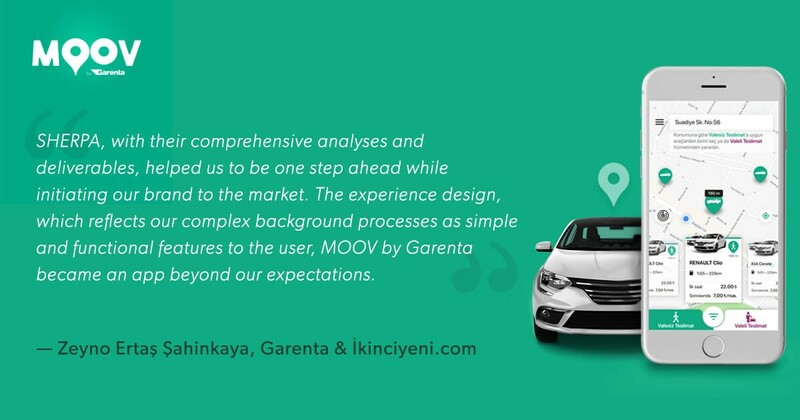 At the end of the MOOV by Garenta product development process, which we have been involved since the concept phase by the invitation of Vektör Telekom and worked meticulously; we have succeeded in designing an innovative application that provides users with a smooth and smart instant car rental experience. We are UX design studio founded in Istanbul, currently operating in London & Istanbul; focused on creating unique user and customer experiences.